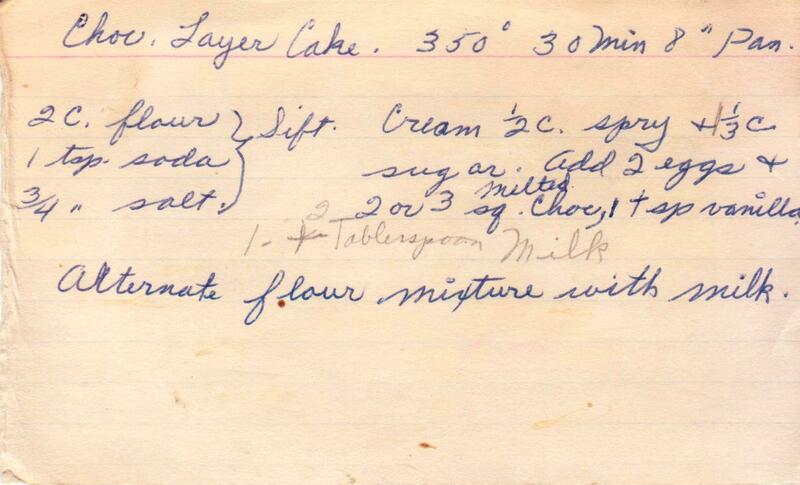 A Cake Bakes in Brooklyn: Does this Cake Taste like 1941? Does this Cake Taste like 1941? At my most recent dinner party, I made a chocolate layer cake just in case the main dessert, a cherry cheese pie, was a disaster. It turned out that the "insurance" cake was, um, less well received than the riskier cheese pie. 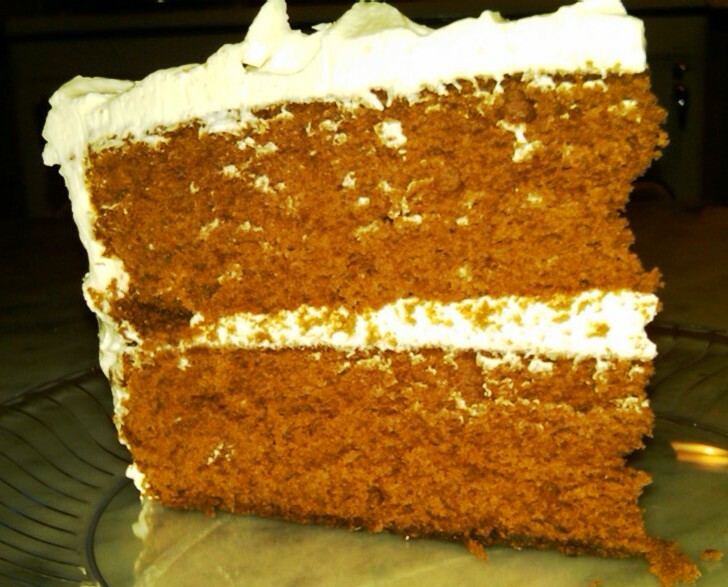 Instead of the usual ooohs and aaaahs that I often hear when people eat cake, there was kind of a subdued response. And I think I know why: This cakes tastes like 1941. 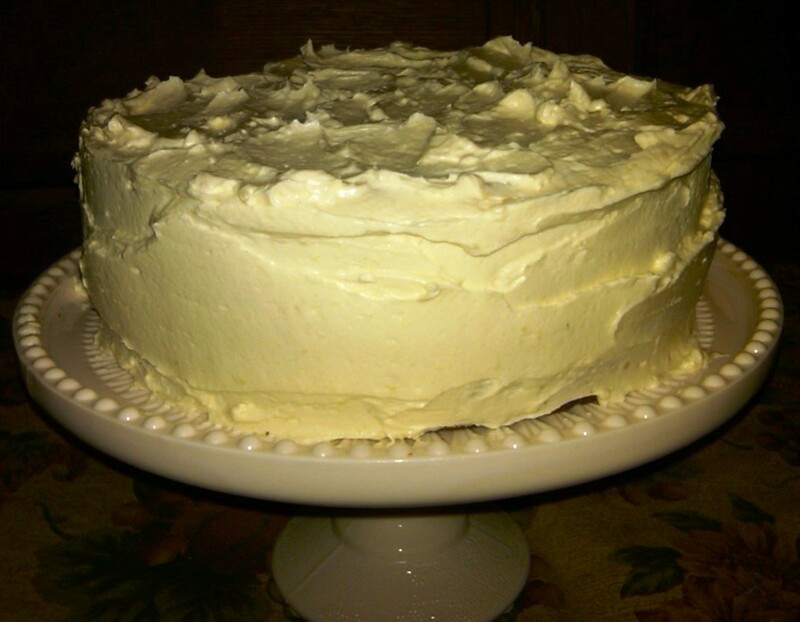 It's a simple cake. Very straightforward. Not overly sweet. A modest amount of fat. And it lacks 21st century bells and whistles like caramelized grey sea salt folded into the frosting or harvested-at-midnight Tuscan raspberries with a glaze of cardamom scented praline dust. 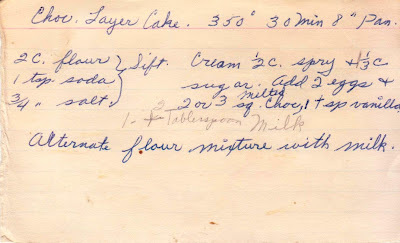 The recipe, hand-written on a card in 1941, uses Spry -- a shortening introduced in the late 1930s to compete with Crisco. We all know who won that race. I followed the recipe exactly, except I always use unsalted butter in place of Spry Crisco. And for the chocolate, I used Sharfen Berger 99 percent, but even that nod to the 21st century didn't elevate the cake to modern standards. Like many of the old recipe cards, this one is short on instruction. I imagine it was written at a time when home bakers all shared a collective knowledge of baking. If any reader bakes this cake, please note that you need to add about one cup of milk (not one tablespoon), and when alternating milk and flour, start and finish with the flour. Pecan Pie: Who Needs Corn Syrup?